Give your clients a convenient way to pay you online through Stripe or PayPal. 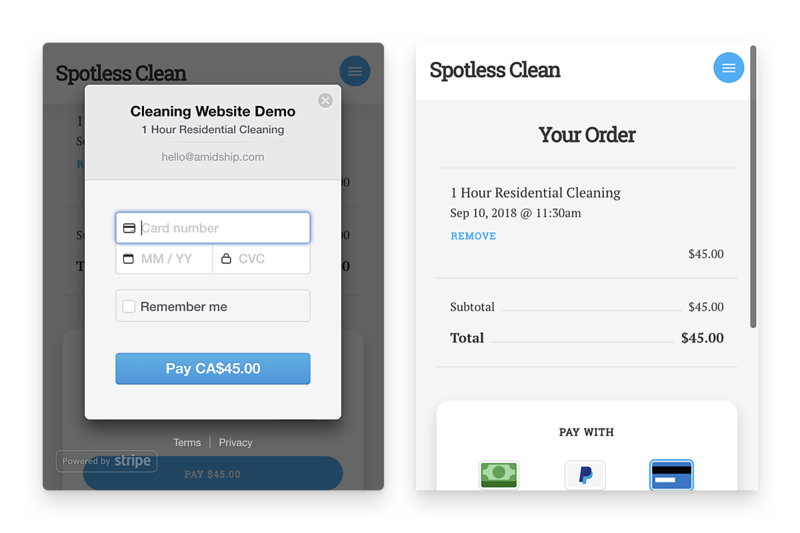 Plus, once you're paid, we'll automatically track the payment and send your client a receipt! Spend less time answering phone calls and sending messages - let us be your receptionist. 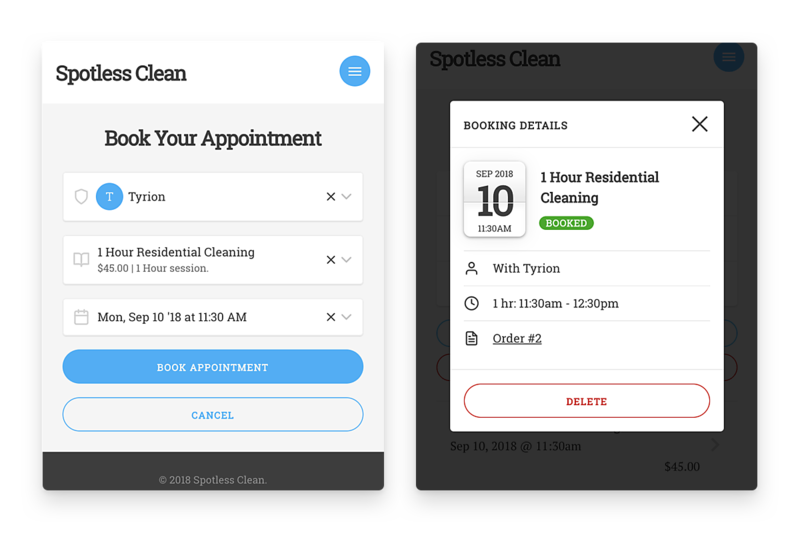 Now your clients can see your availability online and book appointments - even while you're cleaning! 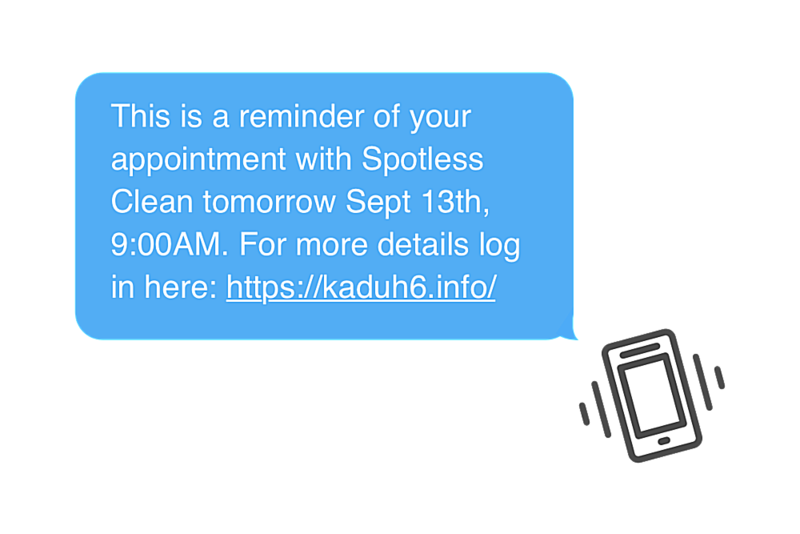 Now you can send automatic text and email reminders 24 hours before each cleaning. This reduces chances of late cancellations and no shows - saving you time and money. I love that my customers can see our availability and book online, even as we’re busy cleaning. They find it simple, and they really like it. And there’s no more back-and-forth between us to find a date and time that works for both of us. OH MY GOD! You guys are amazing.....you guys did all the work for me practically.....this is amazing! Wow I cant wait to start editing and using the site! !